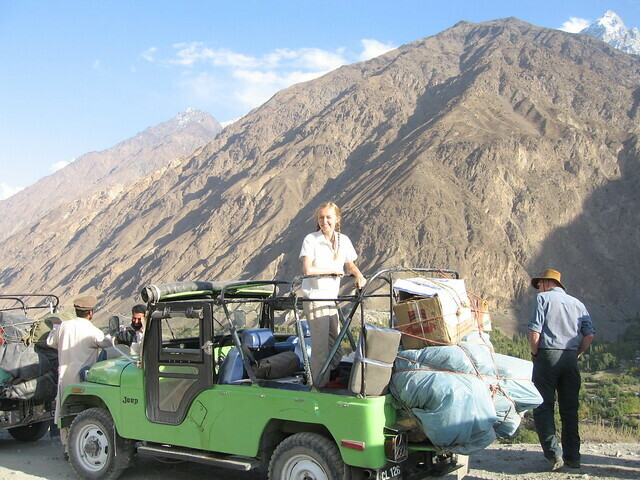 I have already shared three Photo Travelogue of Mary Loosemore in Jaho Jalal, which includes the travel of the Mary's Hindukush expedition from Peshawar to Ayun over Lowari Pass, Ayun to Kalash Valley and Kalash Valley to Chitral. 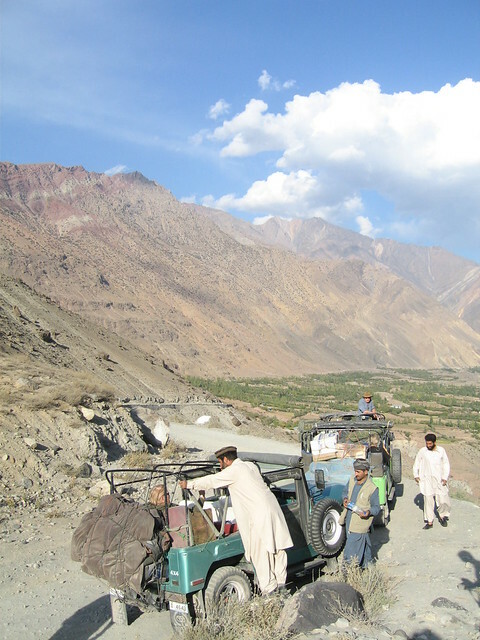 In that context, this post is the fourth Photo Travelogue that covers the travel of the Hindukush expedition from Chitral to Gilgit through the famous Shandur Pass. 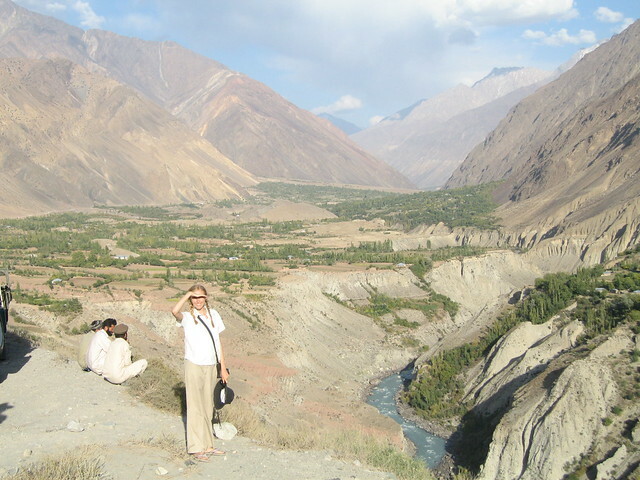 I may add here that I am sharing Mary's travelogue of Hindu Kush mountain range after seeking exclusive permission from Mary Loosemore. 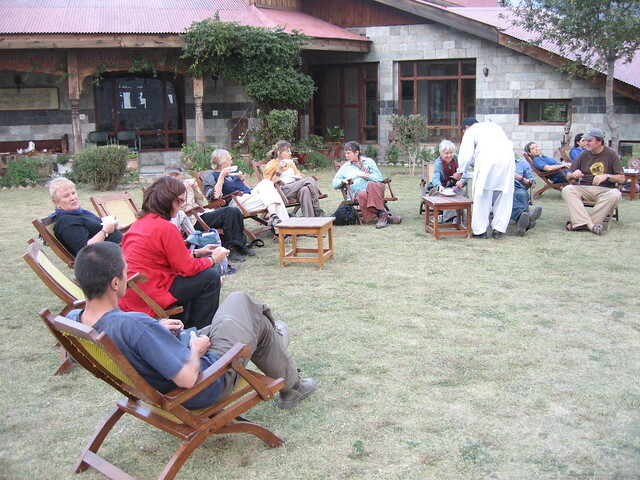 After Chitral, the group ventured north and north east towards Shandur Pass and onward to Gilgit, the capital of Gilgit-Baltistan. The journey onward is through spectacular scenery, awesome overlooking mountains and lakes with reflections of snow covered peaks. 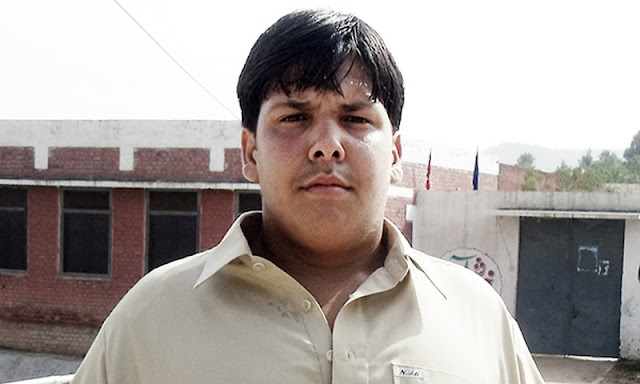 The journey onward will be covered in my next post. 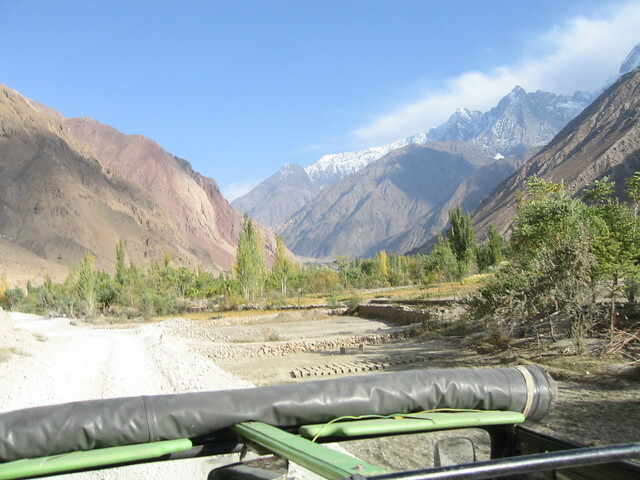 So here we go as the team leaves the comforts of Chitral and wanders along the scenic Hindukush range to Gilgit. 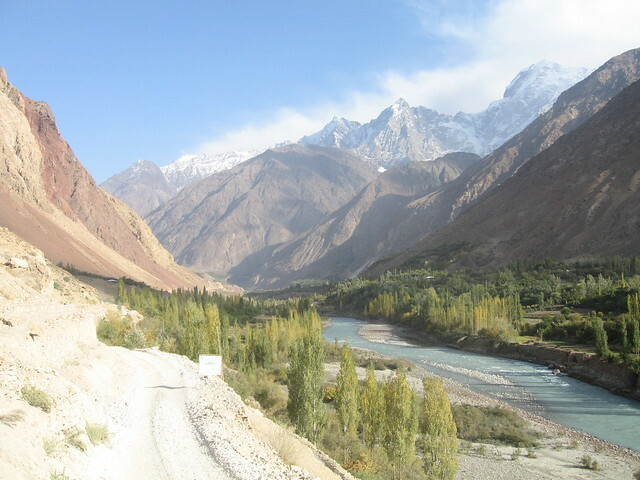 The route from Chitral to Gilgit passes through Booni, Mastooj, Shandur Pass, Khonan Deh and Gilgit. The map above may be opened separately to know the details as I had to join 3-4 screen clips to make it one. 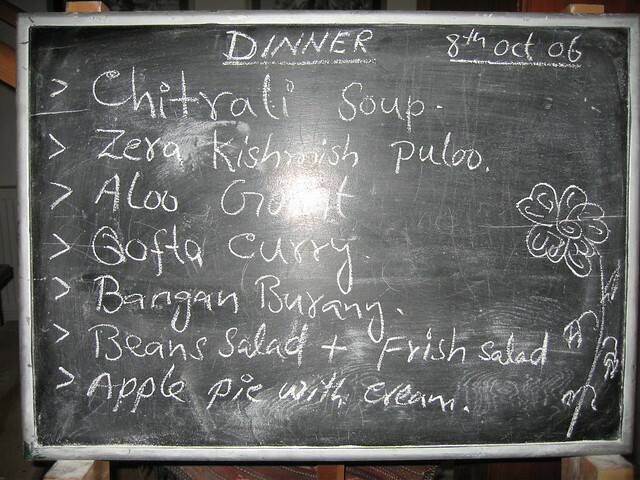 The dinner included Chitrali Soup, Zera-Kishmish Pulao (Rice Pulao with cumin seeds and raisins), Aloo Gosht (Meat and Potato curry), Qofta Curry (meatballs curry), Bangan Burany ( a dish of eggplants), and of course Beans salad and Fresh Salad. The last one is my favourite: Apple Pie with cream. 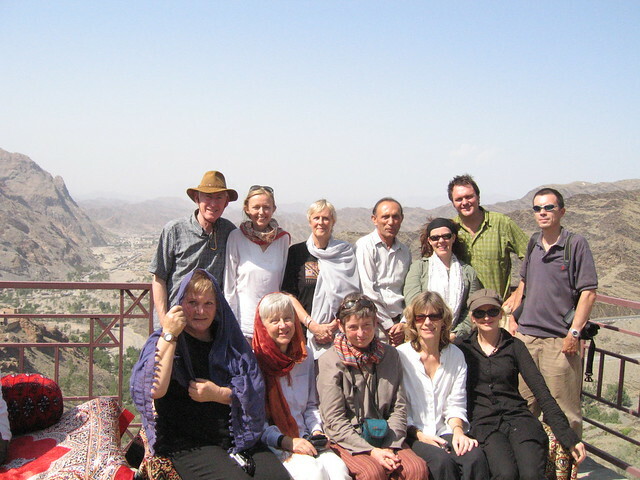 After a day's rest at the Hindu Kush Heights, the adventurers headed towards Mastuj. 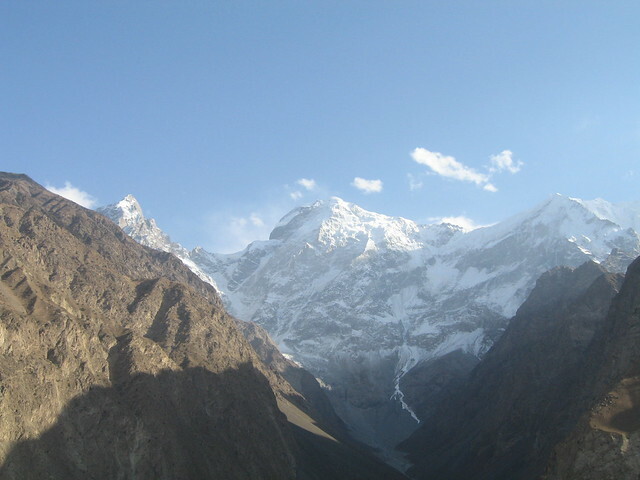 The Buni Zom is a group mountains about 50 kilometers northeast of Chitral town, and some 50 kilometers east of the mighty Tirich Mir. 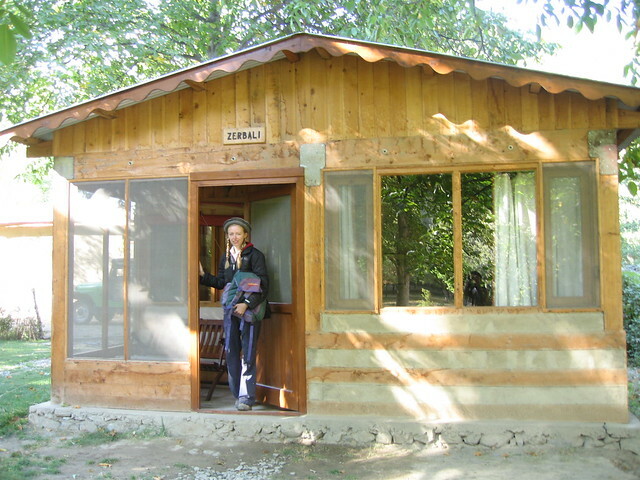 Buni Zom group of mountains consists of 29 peaks, with highest rising to an altitude of 6,651 Meters. You may read about details of the Buni Zom group of mountains at Wikipedia from the link given at the end of the post. 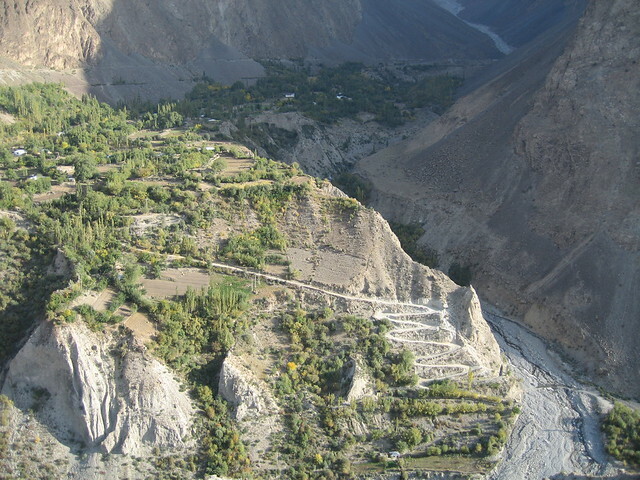 Mastuj is a peaceful, quiet and scenic town in upper Chitral. 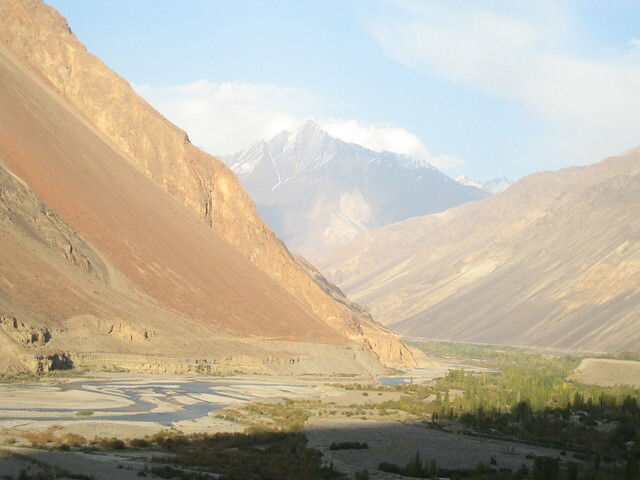 The town is considered to be the gateway to Shandur and Boroghil Passes. The extremely cold weather makes it conducive for walnuts, apples and grapes. One of the landmarks of Mastuj is the remains of the Mastuj Fort which was built some 300 years ago. 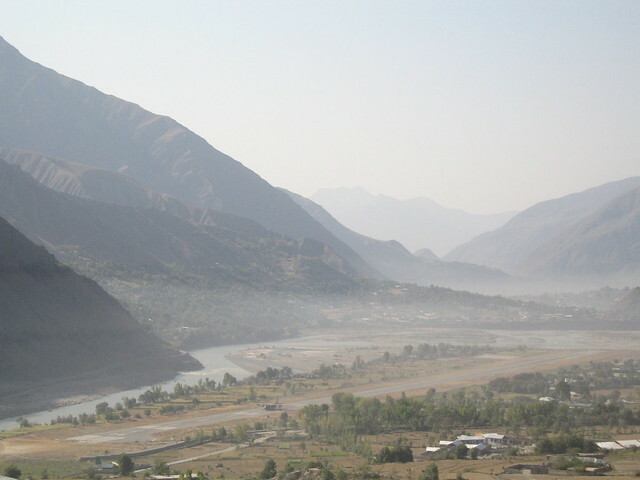 Before independence of Pakistan, it was the seat of the local Kushwaqt tribe which spread from northern Chitral to the territories of Ghizr and Yasin in Gilgit.